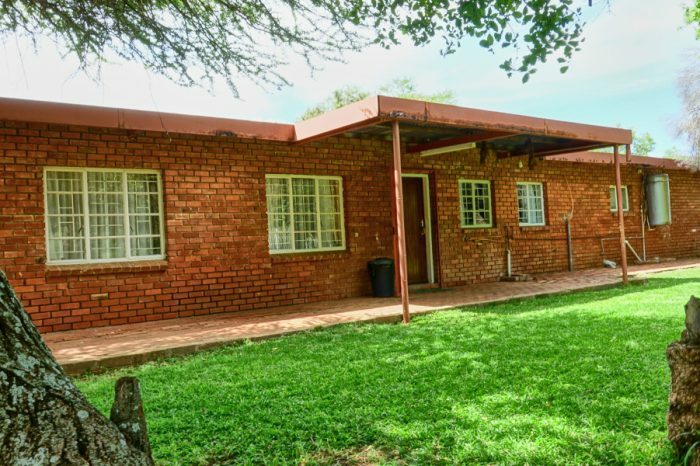 A three suite chalet, set in a secluded, tranquil, bushveld setting on a farm close to Tamboti Bush Lodge. Each suite has two single beds, a sleeper couch, a coffee corner, a desk with 2 chairs, a fully equipped kitchen, a bathroom with bath and shower and each has its own braai facilities with a large communal fireplace. Guests at the camp are welcome to use the facilities at Tamboti Bush Lodge. 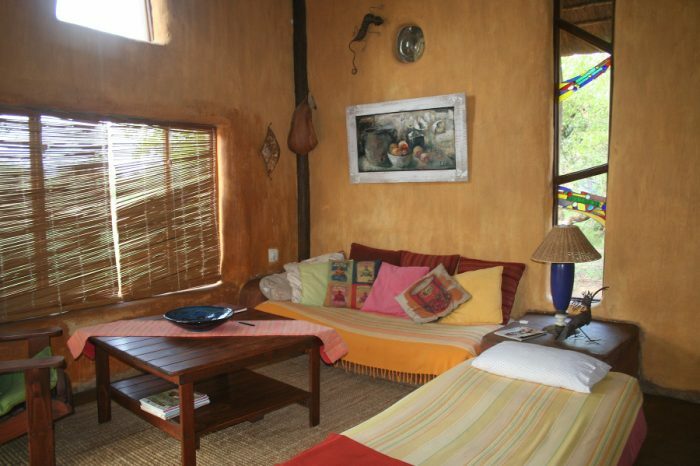 Tsong ia a very large suite with two beds and a double sleeper couch and TV. Space for 2 extra beds. A large bathroom with bath and shower. A fully equipped kitchen. Wheelchair friendly with a ramp and lots of maneuvering space in the bathroom. A large suite with two beds a sleeper couch and a TV. Space for 2 extra beds. The Zulu suite has its own bathroom with a shower and bath, a fully equipped kitchen and its own braai area. Ndebele is a large suite with two beds, a sleeper couch and a TV. Space for 2 extra beds. 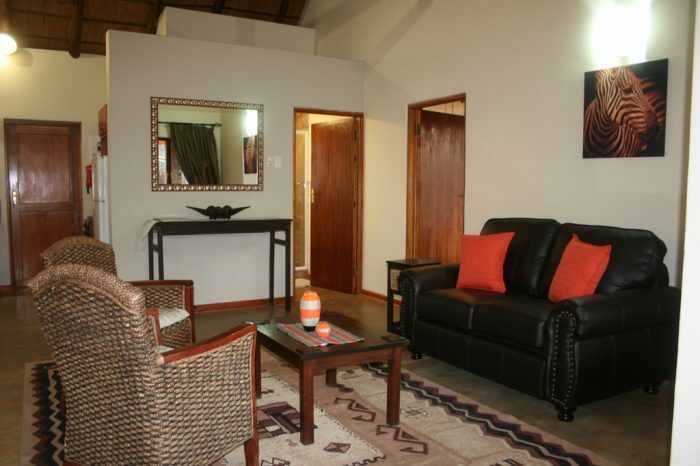 The Ndebele suite has its own bathroom with a shower and bath, a fully equipped kitchen and its own braai area.